Ski Bars- Home of the Whoppers! One of the wonderful things about a great day of skiing is sharing the fun ups and downs( no pun intended) of the day with your friends at the local ski bar. Apres ski, as it is called, is a celebrated ritual at great ski bars across the country like the Snorting Elk at Crystal Mt., Washington or the Classic apres at the Red Lion in Vail. East Coast skiers hang at places like the Wobbly Barn on the access road in Killington, VT. or the iconic Matterhorn in Stowe, Vermont. Last March I had a great day skiing at Whiteface up in the Adirondacks with my pal Mike Smith and we sat at the corner of the bar eating a late lunch at The Cottaqe which was the scene of many a McCloskey, Durfee, Smith, ski outing. We loved talking to the bartender about Andrew Weibrecht’s silver Super G medal at the Olympics seeing that he is a Lake Placid native and his folks own The Cottage as well as the famed Mirror Lake Inn. The fun runs of the day, the bravado, and the thrills and spills are all recounted at the ski bars across the country during ski season and the atmosphere in these post ski day hangouts is electric. One of the more interesting things that usually occurs during the apres ski sessions are the embellishments of the feats of the day in direct correlation to the amount of beer consumed. The stories get better and better and sometimes one needs to keep the tales in check because you never know who is listening. That goggle tanned girl that is sitting next to you might have just hucked off an 80 foot cliff into deep powder and skied away like it was no effort at all. She might not be all that impressed with your beer goggled story of how you cruised a groomer at 60 MPH according to your I- phone app. That speed is doubtful at best, and as the girl chuckles and walks away, she thanks you for the beer. 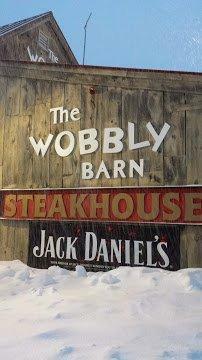 Perhaps one of my favorite stories occurred at the Mangy Moose in Jackson Hole, Wyoming. I was sitting at the bar with my friend Paul Vey who had just skied Corbett’s Couloir for the first time. Paul played basketball for the University of Vermont and used to sneak out of the dorm to go skiing at Stowe or Smuggler’s hoping not to be caught by the coach. Paul is an avid skier and to hear him say that skiing Corbett’s that day with me was the highlight of his athletic career was impressive. It made me feel good being a part of his skiing experience down that classic run. Paul was a Division I NCAA athlete. We both talked about the experience, but were interrupted by a loud conversation next to us which involved a guy who was telling the tale of how he skied Corbett’s Couloir that day on telemark skis. Paul and I were amazed at the gall of the guy who was obviously working the crowd with his tales of tele glory. The fact of the matter was that we recognized this guy as the one who crashed and burned down Corbett’s right in front of us. We helped him clean up his yard sale all over the slope below the couloir. You could see the sheepish look on his face as he altered his story for the fans but we all had a good laugh and talked about the challenge of Corbett’s and Jackson Hole skiing in general. Sitting with your friends at a ski bar and telling the tales of the day can be extended if you buy one of the t-shirts or hats for sale. The good times can be extended to the summer when you wear the stuff and someone notices a familiar after ski haunt. Hopefully you wash the shirt a few times so that it is a bit worn and maybe run the hat over with your truck in the parking lot to give it some character. Maybe some sweat stains might also help the cause. 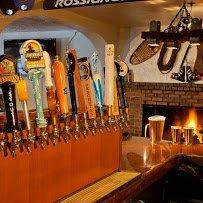 Appearance is everything and your favorite t-shirt or hat from that famous apres ski bar is a prized piece of clothing. Our friends from Philly, Judy and Mike Smith, always laugh at my clothing which always has some kind of a logo from a ski area or a ski bar. They think that this is the only type of clothing I may own. They might be right, although I don’t have Mangy Moose pants or The Cottage boxers. My favorite is an old, worn Rocky Mountain Oyster shirt from that famous little joint in Jackson. The rather well endowed mountain goat on the front advertises the delicacy of what is a gastronomical treat to some westerners. I don’t want to go into it but Google Rocky Mountain Oysters and see how “they” are prepared. The next time you find yourself in the apres ski joint of your choice, take time to listen to some stories and chuckle at how some guys work really hard to impress the ladies, or their friends with tales from the day. Maybe you will find yourself recounting and embellishing a few stories yourself. If you look down at the other end of the bar or another table, you might hear me and my friends telling some tales of our own. Remember- the older we get- the better we were. Especially in a ski bar. Thanks for reading and think snow. 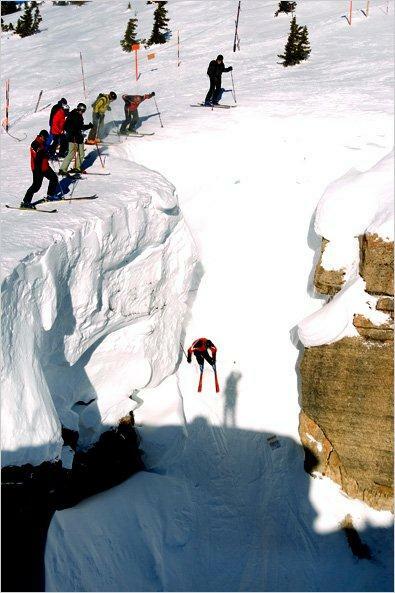 This entry was posted in Skiing, Winter and tagged Apres ski, Humor, Outdoor Sports, Skiing, Winter Sports. Pat, I always say;”the older I get the faster I was”! 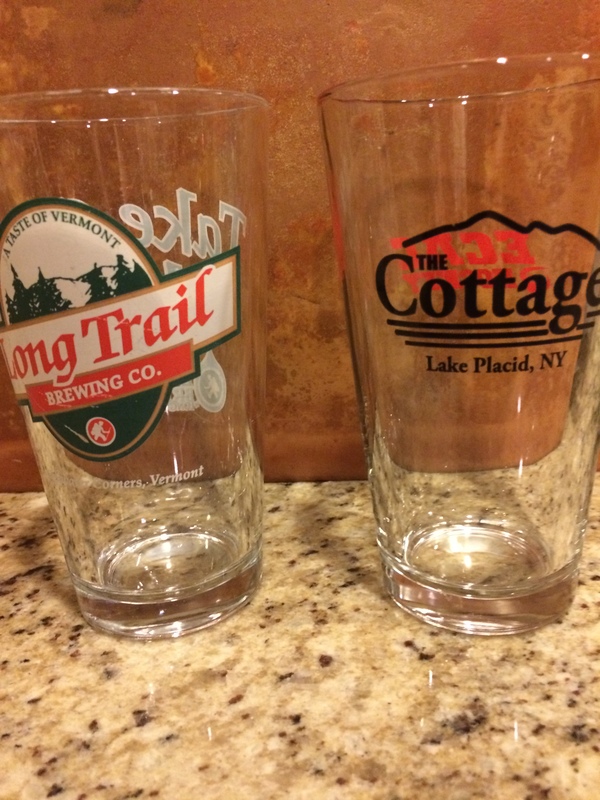 Let’s have a beer at the Goggle and I’ll tell you all about it! That is a good offer in a good ski bar.